Unsettled focuses on work by artists living and/or working in the Greater West, a super - region that broadens conventional definitions of the West. It is bounded from Alaska to Patagonia, and from Australia to the American West. Though ranging across thousands of miles, these comparative Wests share similar histories born of collision between indigenous and frontier cultures. They also share common concerns of land and water use, harvest and extraction, and the preservation of natural beauty and wide - o pen space. The geographic focus of Unsettled begins in Alaska and continues down the west coast of North America, through Central America, concluding in Colombia. 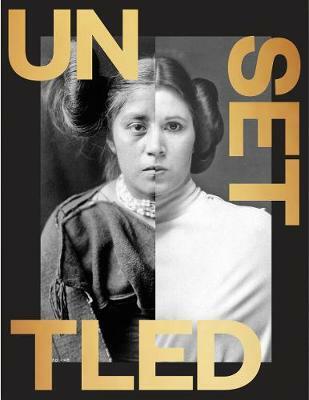 Unsettled features 200 art objects from this region, ranging from Pre - Columbian art to moder n and contemporary art. Organized by Curatorial Director and Curator of Contemporary Art JoAnne Northrup with Collaborating Curator, iconic Los Angeles artist Ed Ruscha, Unsettled makes connections among the diverse cultures and artistic practices of this superregion. Work I n the exhibition responds to the Greater West's legacies of colonialism, conflict, and changing landscape. It also explores the unsettled edges of cultural and creative production in the Greater West.